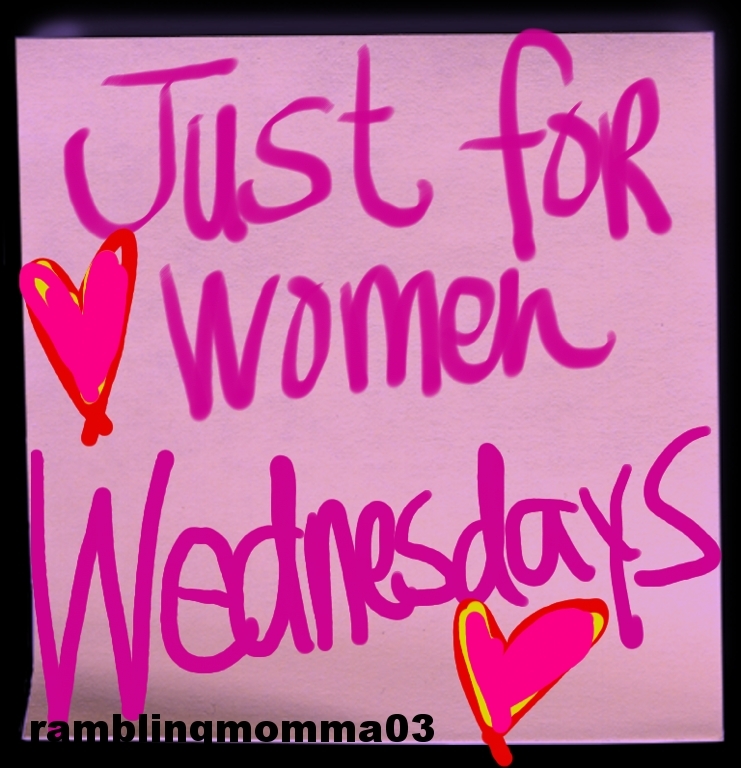 Wednesdays for Women- From The Depths Of My Heart! Today I introduce to you , one of my long time friends, she is new to blogging and so I asked her to join me and go say hello to her when you are done reading. From The Depths Of My Heart! I was asked yesterday by a friend to post a blog about the struggles I’ve had with my health issues (epilepsy) and also share some of my opinions and struggles as a single Mom. This friend asked me to do this so she could share it to HER blog as a devotional to help others. So here goes.. in January of 2008 I was diagnosed with epilepsy. For several months before this, I had been waking in the night completely paralized (unable to control my own body) yet my body would be shaking violently. I knew there was something terribly wrong. I would be exhausted after these episodes were over, and sore. In November of the same year I became a single Mom..I guess the point of this blog is to be totally honest, and to help someone else, so here it is. I spent one month of my life hospitalized for a nervous breakdown, because my life had just come to the place where I had fallen apart..but I had 2 small children, and I had to get better for THEM! I picked up the pieces of my life, and started over..just me and my 2 sweet little men..over the past 5 1/2 yrs, I’ve learned alot! I’ve learned how to stand on my own 2 feet..I’ve learned that the love of my children is all I really need for now, and if in time God sees fit for me to meet the right guy well great! If not, well I will go on loving my sweet boys! Really it hasnt been much of a struggle being a single Mom! My boys have TWO great parents, for which I’m thankful..its just that in my case, things couldnt work..their Dad and I are on good terms, and I even get along with their Dad’s new wife. Do we always agree on everything? No! We have our disagreements..thats life, and its human nature, but for the sake of those 2 innocent children, we all get along! Which is the way it should be, and the way I want it to be..and no its NOT always easy..and Im speaking in honesty and from my heart here, like I said I would! Like I said..its not always easy, BUT its the way it needs to be, and has to be for the sake of my kids! I dont want my boys growing up seeing me fighting with their dad, or their dad’s wife! They need to see peace, and unity in their family! That is my wish for ALL children..unfortunately..thats not going to happen! Very inspiring story! Great how you pushed through and are in a super happy positive place right now. Seeing you wrote "Being negative is not an option" means you have such a positive outlook and that definitely helps! I gave up negativity for Lent (and forever). Not only am I trying to keep positive but I am surrounding myself with those who are good for me. Great post! Wow what a story - you're brave for sharing and "putting yourslef out there" like that. My dad had seizures for about 10 years while he was about 55-65 - they never found a real cause and then they just stopped and he's been seizure free for about 5 years now and meds free for about 4. Even just as a daughter it was a really scary thing to never know when one might happen. He only ever had 1 while awake, ther est were at night so it was a bit of a relief but the not knowing is just awful. Thanks for being so up front about all of your experiences. What a wonderfully uplifting post-thanks for the inspiration and sharing. I hope you continue to be happy and stay positive! Very touching story. So glad you have a good working relationship with your ex, that makes it easier for everyone involved.